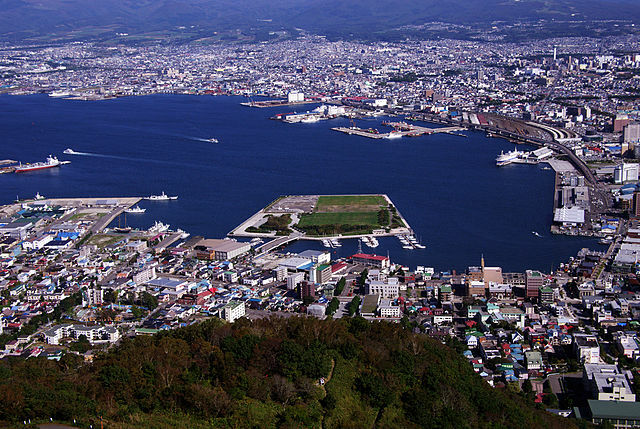 Hakodate is a city and port located at the Hokkaido’s southern tip in Oshima Sub-prefecture. It is the Island’s third largest city with a 350,000 population, surpassed only by Sapporo and Asahikawa. ​Separated just by a 20-km strait of Tsugaru from Honshu, Japan's main island, the city has naturally been seen as an entrance to Hokkaido. 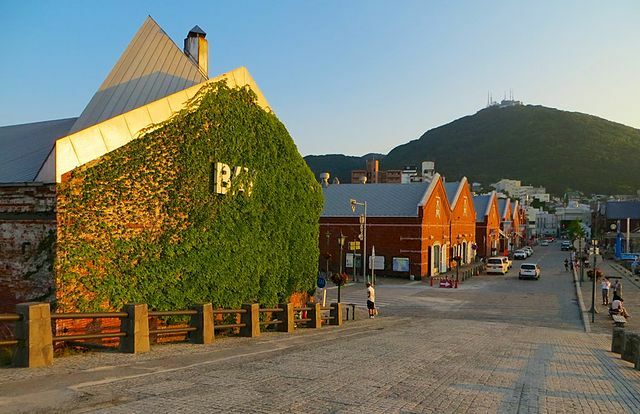 As one of the first cities in Japan to be opened to international trade, like Yokohama and Kobe, there are some signs of foreign influence in Hakodate, notably architecture. 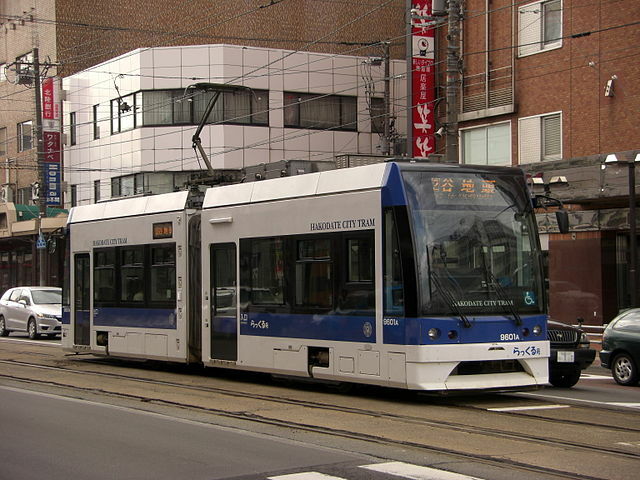 Hakodate has a useful two-line Streetcar network connected to the train station. ​Fares work similarly to medium-distance buses in other cities: take a ticket when you board, then pay as you get off based on the number on your ticket. If you are going to take the streetcar more than twice in one day, it is advisable to buy a one day pass from the Tourist Information Centers or the driver when you get off. ​A combination bus/streetcar pass is also available. Each pass comes with a map of the stops. Children are half off of those prices. 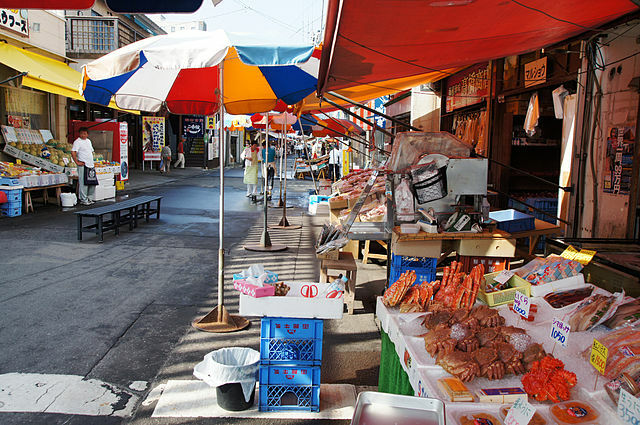 Morning Market "Asaichi" - Crammed into a couple of Bay-front buildings, rows of vendors sell a variety of seafood, but the main attraction is the huge selection of Hokkaido's famous crabs. The market opens 5am "6am in winter" until noon. Next to the market are a number of restaurants, most of which specialize in seafood-topped donburi "rice bowl". Hakodate Asaichi is near the JR Station and the streetcar Hakodate Eki-mae stop. 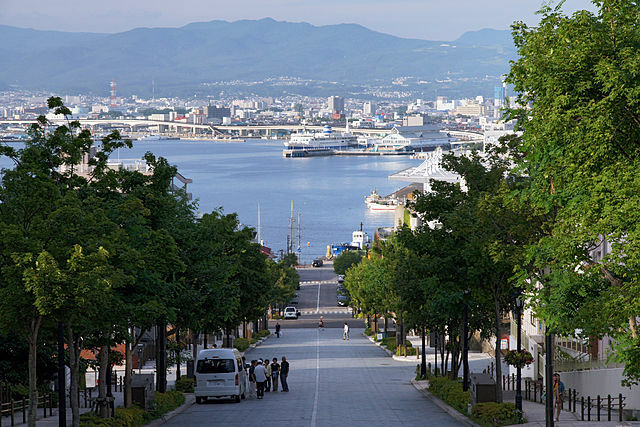 Motomachi is a historical district at the foot of Mount Hakodate. ​One popular attraction is the Old Public Hall, a European-style building which housed Hakodate's government in the early 1900's. The various churches and consulates in the area, dating to the early days of foreign trade with Japan, are also frequented by tourists. There is a pleasant walk up going from the Higashi Honganji Temple all the Way up to the Foreign Cemetery. On your way you will pass the Russian Orthodox Church, the Roman Catholic Church, the Episcopal Church as well as the old British Consulate, the Old Public Hall and Old Russian Consulate. ​There are few temples in the vicinity of Foreigner's Cemetery as well. The Motomachi district can easily be accessed from JR Hakodate Station in a 5 minute tram ride or 20-30 minutes' walk. Kanemori Red Brick Warehouse built at the end of the Meiji era now house a variety of commercial facilities, as well as restaurants serving seafood. ​Seven warehouses contain a range of trendy souvenir, fashion, interior and sweets shops, a chapel for weddings and sightseeing cruises of the bay. Hakodate Bay area is a wonderful place for an evening stroll. As night falls, the whole area is lit up with pretty twinkling lights. Hakodate Bay Cruise – Blue Moon is a 200-passenger double-deck cruiser. It goes around the Hakodate bay area and Tsugaru Strait. There are eight rides a day "30 minutes’ ride" including the night cruises "60 minutes ride". 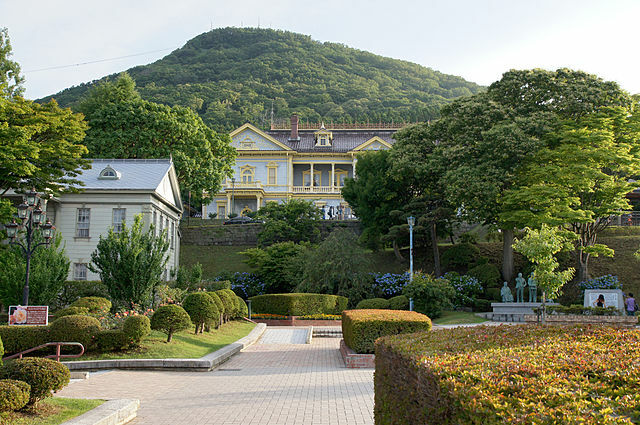 ​You can enjoy a romantic view of Hakodate’s waterfront and Western houses from sea. If you're lucky you may spot dolphins. 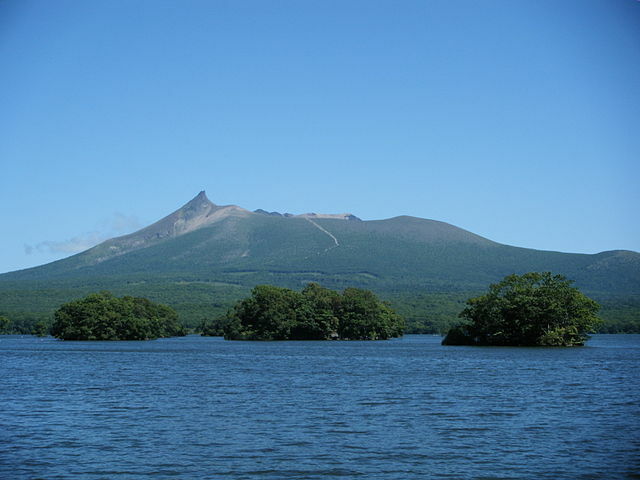 Mount Hakodate is a wooded mountain with the height of 334 meters. On clear days and nights, in particular, the views from the mountain are spectacular and included among Japan's three best night views. Facilities at the summit, which is accessible by Mt. 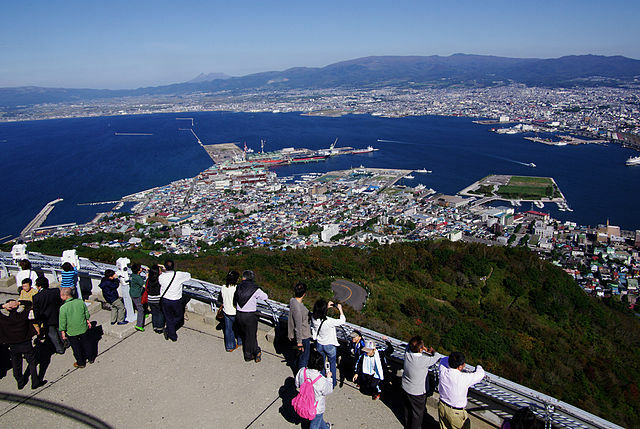 Hakodate ropeway, include observation platforms, souvenir shops, a cafe and a restaurant. You can reach the mountain by bus from platform 4 of the main bus station in front of Hakodate Station. Fort Goryokaku is a massive star-shaped Western-style fort which was completed in 1864. The fort was built to protect the Tsugaru Strait against a possible invasion by the Russian fleet. After the fort had lost its military importance, it was eventually turned into a public park. Now with over one thousand cherry trees planted along its moats, it is one of the Hokkaido's best cherry blossom spots. The peak of the blooming season usually takes place around early May. ​The fort also houses a small museum with exhibits on local history "rotating each year". 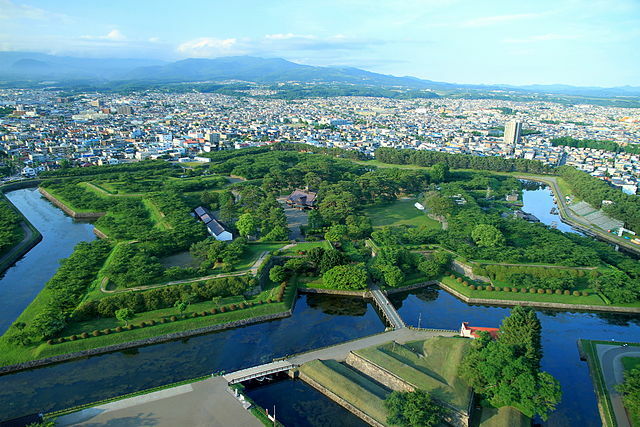 Goryokaku Tower - From the 90-meter viewing platform you can get a striking view of the star-shaped fort. The view from Goryokaku Tower is different on each season. In spring, you can enjoy seeing over one thousand cherry trees. However, it takes at least 3 hours to go up the tower in cherry blossom season because of the crowds. ​In summer, you can enjoy full green trees, and in fall the changing leaves. In winter, Goryokaku is covered with snow and is illuminated at night. From Hakodate Station, take the tram to Goryokaku Koenmae bus stop "takes about 10 minutes", from where the fortress is another ten minutes on foot. In the center of the fort stands the Former Magistrate Office, a facility from where the officers of the shogunate administered Hokkaido and a window to foreign countries during the mid-19th century. The original building was demolished after the fall of the shogunate in 1871, but part of the facility was restored and opened to the public in 2010. 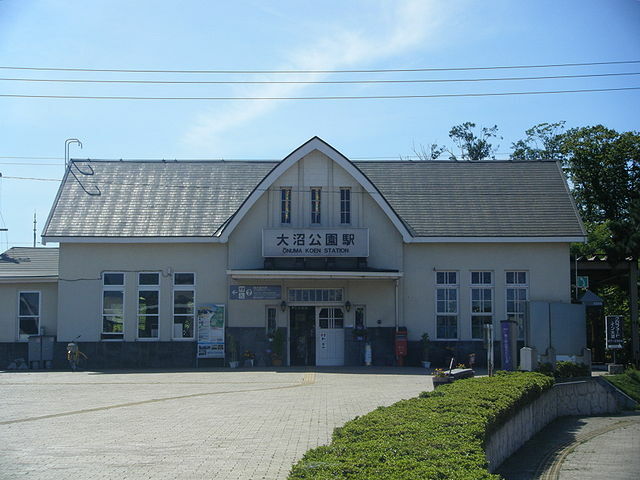 ​Onuma Quasi-National Park is a national park centered around Lake Onuma. Onuma means "great marsh", a fairly apt description of this placid lake. 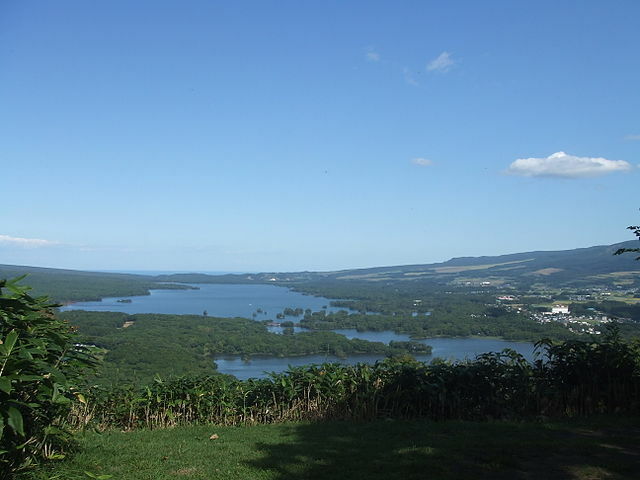 Divided in two by a thin strip of land, the smaller western portion of the lake is known as Konuma "small marsh". At the southern edge of the strip lies the small eponymous village and tourist center of Onuma. It is a beautiful park known as one of the largest resort site in Southern Hokkaido - having the volcanic Mt. Komagadake, Lake Onuma, Lake Konuma, Junsainuma Samp, a treasure house of beautiful nature, virgin forest, and wild birds. The most popular courses through the little islands that dot the southern shore start from near Onuma Koen station. ​Ask at the tourist office "in the Onuma International Exchange Plaza" for a map. Hiking in the area is popular. There are a few easy-to-spot places that rent bicycles to tourists. You can get normal bicycles, bicycles built for two, and tricycles that can interlock with each other "for families and groups". A cycling course leads around Lake Onuma "about 10 km", but follows the main road rather than the lakeshore for most of the distance. During the warmer seasons paddle boats and row boats are available to rent as well. Other activities to be enjoyed in the Park include tennis, golf, fishing and camping. 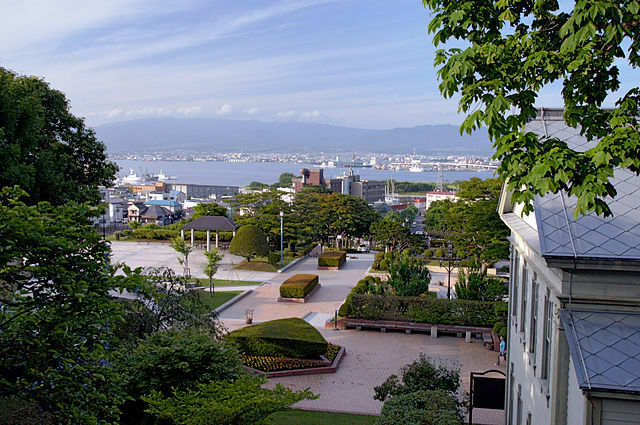 Onuma Park is located only twenty kilometers north of Hakodate and can be easily visited in either a day trip from Hakodate or on a stopover on a journey between Hakodate and Sapporo. Most limited express trains between the two cities stop at Onuma Koen Station. From Hakodate take JR Express to Onuma Koen Station "takes about 20 minutes". JAL and ANA offer nonstop service to Hakodate from Tokyo Haneda, Osaka Itami and Nagoya Chubu airports. Air Do also flies the Tokyo route and offers slightly cheaper fares. 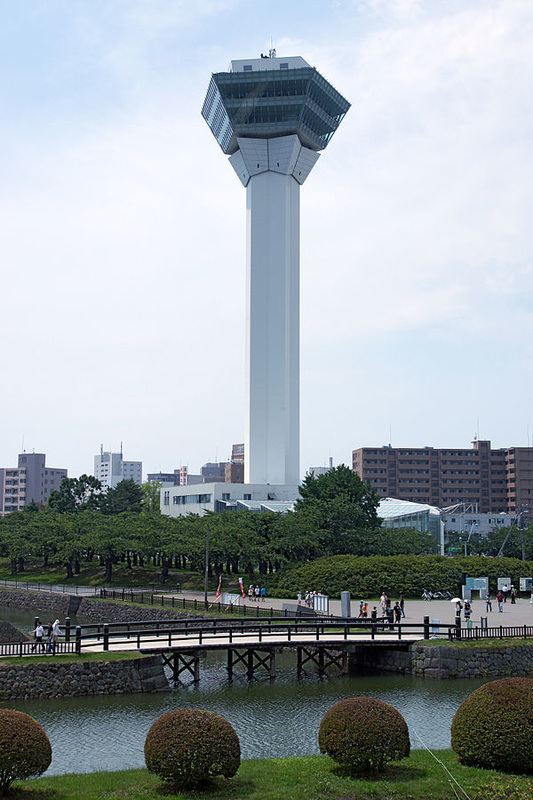 Hakodate Airport is located five kilometers east of the city center. 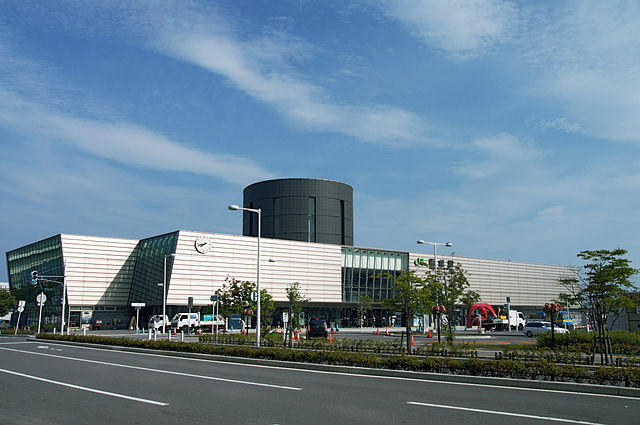 Airport buses operate every 20 minutes between Hakodate Station and the airport, taking 20 minutes, while less frequent city buses do the journey in 30 minutes. From Sapporo – take JR Super-Hokuto / Hokuto to Hakodate Station "takes about 3.30 minutes". The fastest way to reach Hakodate by train from Tokyo is by taking the Hayabusa Shinkansen service. The one-way trip lasts about 4 hours. For foreign tourists making the trip from Tokyo, the better deal is to purchase the national Japan Rail Pass. Hakodate can also be reached using the Seishun 18 Ticket, as the ticket is valid on limited expresses between Kikonai and Kanita across the Seikan Tunnel.